I love my bread machine. I’m kind of a carbaholic, so being able to throw the ingredients into the bread machine and let it works its magic, while I get other things done is such a time saver! I’m not a huge fan of biscuits, because they’re so dense, but soft, light, fluffy rolls? Sign me up! 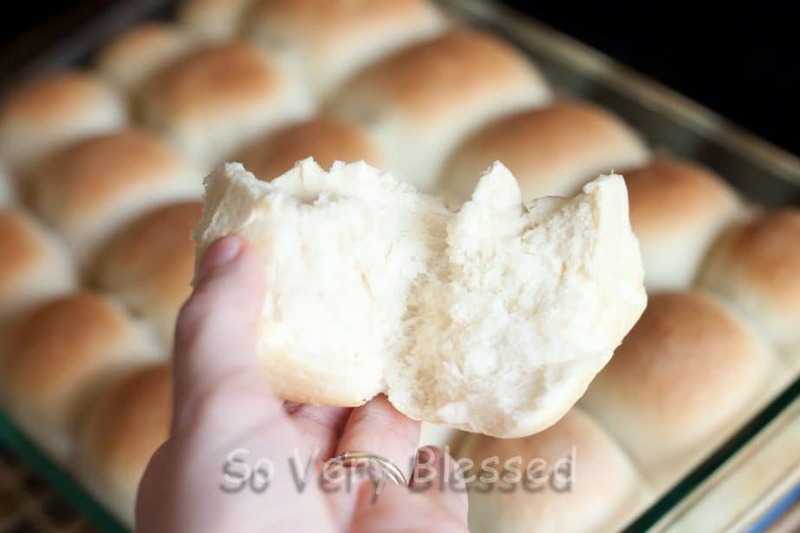 I was actually trying to make them similar to Golden Corral’s rolls, because I may or may not go there solely to fill up on the white, fluffy, buttery goodness. These aren’t exactly the same, but they do the trick for me! I’ve made these with both bread flour and all-purpose flour and they’re great both ways, but I prefer the texture the bread flour gives. Like most bread, it’s way better warm, so I always toast them in the toaster oven for a few minutes when they’re leftover, but fresh from the oven is still the best! 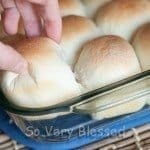 I used to bake them as completely separate rolls on a baking sheet, but they’re so much better all smooshed together! What can I say? I’m a middle-piece girl and when they all bake together, it’s like a whole pan of middle piece heaven! So, go, eat carbs, and be merry. Put all ingredients into bread machine, according to your manufacturer’s directions. Set machine to dough cycle. When dough cycle is completed, divide dough into 24 pieces and shape each piece into a ball. Bake in a preheated oven at 350 degrees for 15 minutes, or until golden brown. 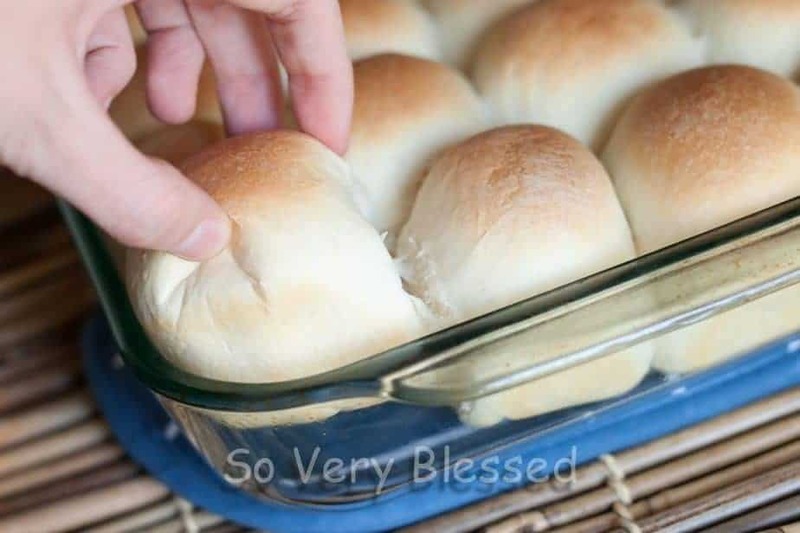 Hi Becky – I made these rolls a few weeks ago and they were amazing. I’m no longer seeing the recipe online. Am I missing it somewhere or could it be re-posted? Thanks! Hi Kelly! Sorry about that! 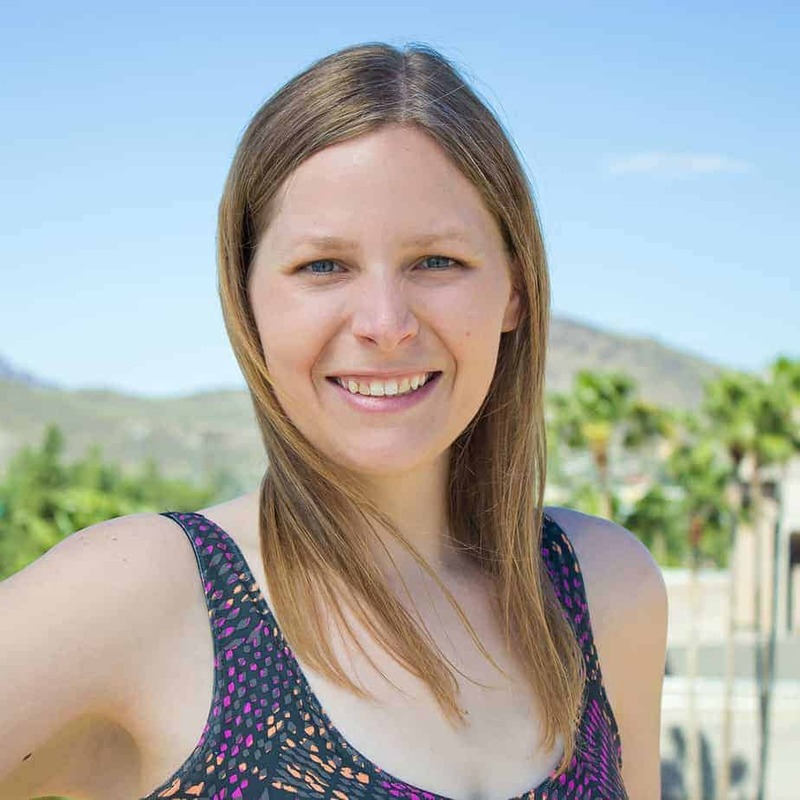 My website went through some big changes this week and it somehow got mixed up in the transition. It should be back up now! 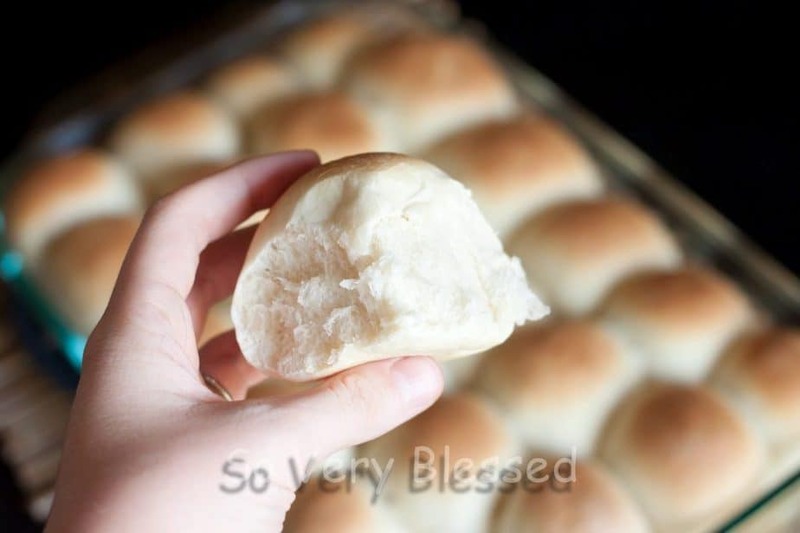 Thanks so much for letting me know and I am thrilled that you love these rolls as much as I do! does anyone know if this recipe can be made gluten-free? she is diabetic & he has celiac disease. finding a recipe that doesnt have 10 or so ingredients is very difficult. thanks for any help. You’re very welcome! I’m so glad you liked them! Recently, I’ve been making these with 1/2 whole wheat flour, too. We like it both ways. Most of my recipes have some salt thrown in for seasoning, but I’m sure it could be cut down in many, if not all of them! I didn’t know you were gluten-free! I’ve heard that gluten-free diets can lend some great health benefits, but I just don’t know if I could give up bread! Thank you! 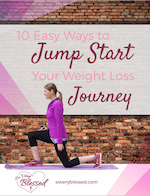 The evaporated milk and mashed potato flakes help to make these a bit lighter. I’d like to make them even lighter at some point, but my husband claims these are “perfect,” so he doesn’t want me to mess with them anymore! These are beautiful and look so yummy! 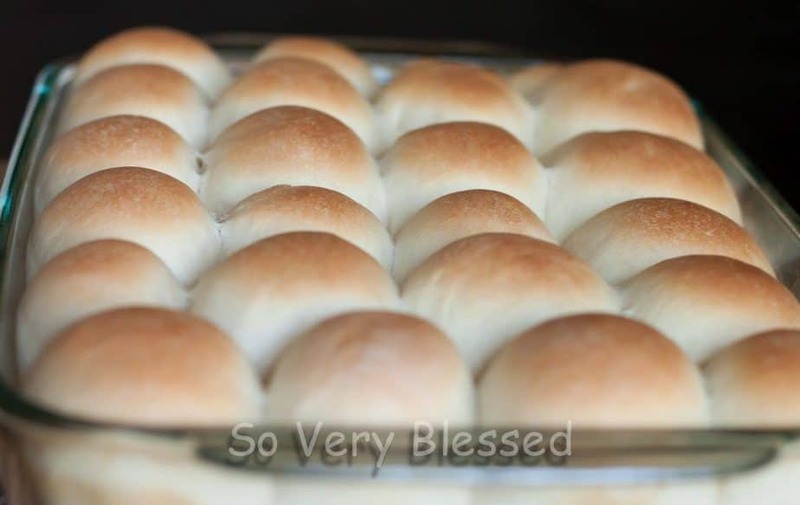 My rolls always turn out so heavy for some reason. I wish I could figure it out. I try to handle them very little after they come out of the bread machine. I am going to give it another try with these!